Choir is, by definition, an exercise in collaboration. It is inherently collective; a shared experience, and it can help choristers to develop the essential skill of collaboration, both personally and musically. This may seem self evident, but working together within a choral setting is fundamental. This isn’t just a musical point as well. Choristers learn in choir that sometimes external differences must be put aside in order to aid in the musical experience. Choristers must work together within their section, the sections must work together to create blended sound, and choristers must collaborate with their conductor to ensure that their voices are unified. Collaborating with other choirs is a unique experience, because while there are many similarities, there can also be great differences between choral groups, and synthesizing those differences can be an excellent learning experience. 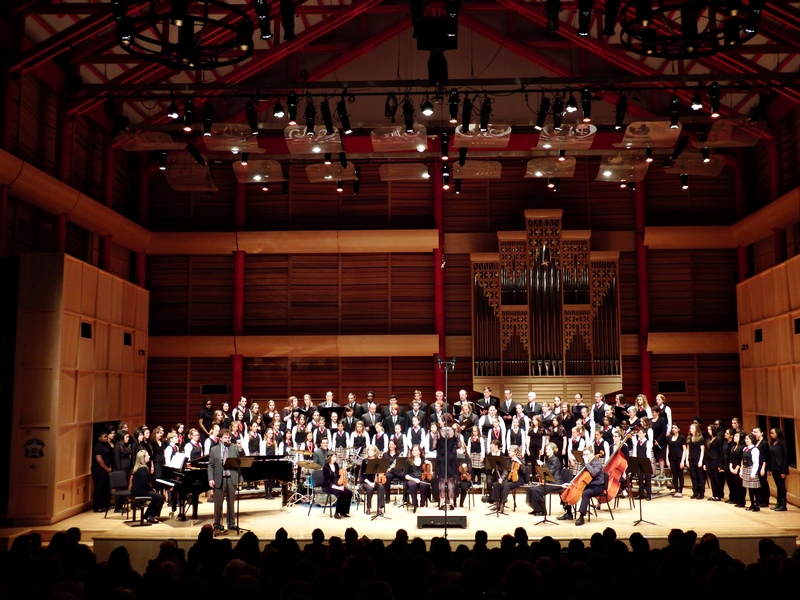 Not every choral experience is the same, just as every conductor is not the same. Acknowledging similarities, and understanding, appreciating, and most importantly respecting differences are not just essential characteristics in music, but in life as well! We are very fortunate in the CCC to have the opportunity to work with many other instrumentalists, whether we’re doing a larger work with orchestra, or working with one or two other musicians. Collaborating with other musicians is an important aspect of musical education, because it allows our young singers to understand the differences in sound. Balance, blend, and timbre change greatly when there are new instruments, and listening for these differences, and adjusting your own sound to accommodate these differences are important skills! How else is collaboration important in choir? Tell us in the comments below!